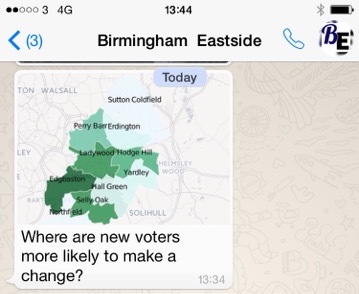 During this year’s general and local elections a collection of my Birmingham City University students used WhatsApp to publish regular updates throughout the two days of voting. Frankly… they nailed it. 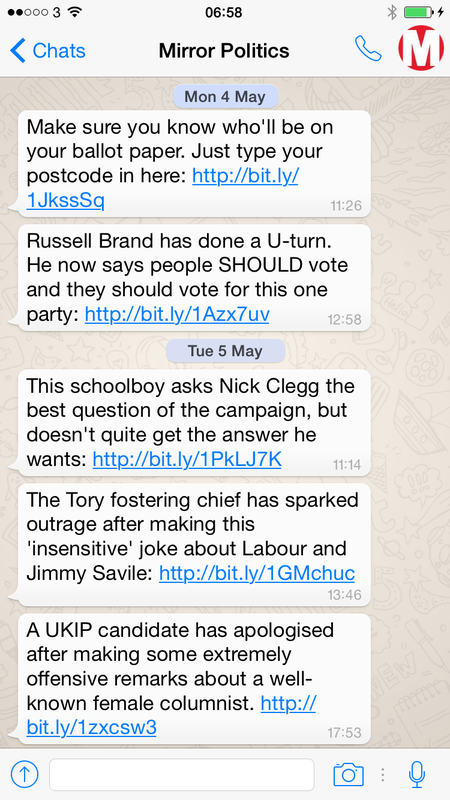 In the process they learned a lot, so I thought I’d share some of the things that came up throughout the process – as well as the experiences of the person responsible for the Mirror‘s political WhatsApp account in the week leading up to the election. This may sound obvious but it’s worth setting out first: you need a phone. And you need to decide who’s responsible for that. Buy a new phone: Pro: can be passed from person to person if you need to take shifts. Con: the person responsible will have to carry two phones and could confuse them. It’s more expensive than the other options. Buy a new SIM. Pro: avoids the need for two phones; relatively cheap. Con: likely to be fiddly to switch SIMs when you need to broadcast (especially on new iPhones). Likely to miss subscription requests while not in your phone. If you do use someone’s existing number then someone in the team needs to be happy for their number to be published. You will also need to make sure that you set the profile picture to one which relates to the brand, not a picture of you! 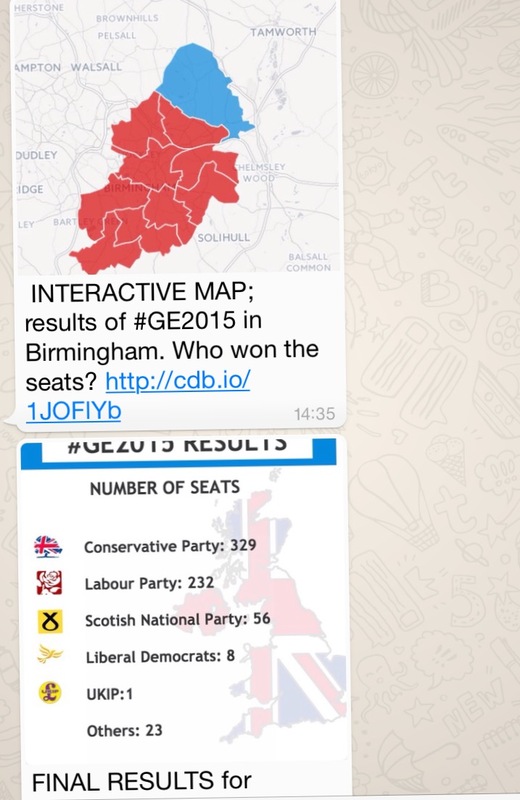 Most people use WhatsApp to have group chats – but most news organisations don’t use this. You can find a guide to setting up a broadcast message on various platforms here. You will need a page promoting the service and explaining how it works. Users will have to add you to their contacts and then send you a WhatsApp message, which isn’t as straightforward as following you on other platforms, so you need to sell the benefits. Some publishers, for example, promise to only send a maximum of two updates every day: the most important stories of the day. This makes sense for a general news offering. 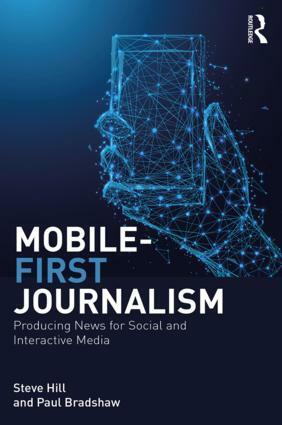 With a special event such as an election or protest, the offering is much more specific and users are likely to be more interested in that particular subject, so no limit may be necessary. Before publishing the page inviting people to subscribe, test it with a small sample of people. And see how the messages look from their end. This is where you can spot problems like the wrong profile image, ability to see other users, and so on. “Having some background on key seats and templates for the datavis helped a lot. “Often to say they agree with story or are shocked by what they’ve read. The most common question we’ve had is who do we think will win the election. Occasionally we have mick-taking messages. But these are very few and tend to be young people excited they can talk directly to the paper. If you do not intend to continue the service make sure you delete pages inviting users to subscribe. 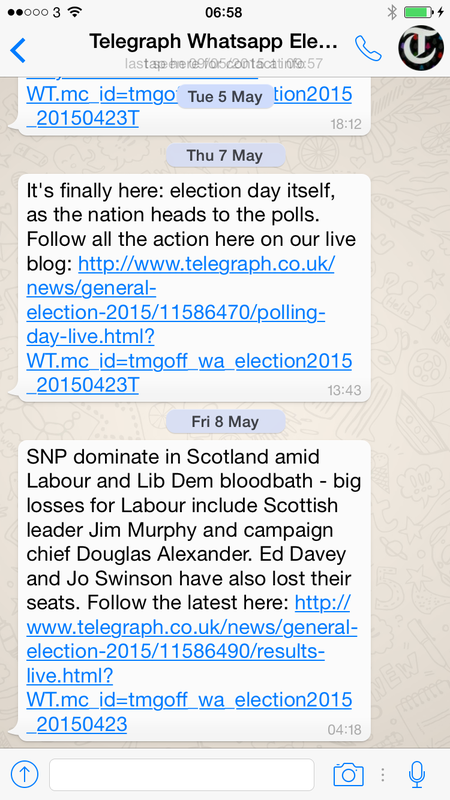 The Channel 4 WhatsApp service, for example, failed to deliver any messages following requests to subscribe. 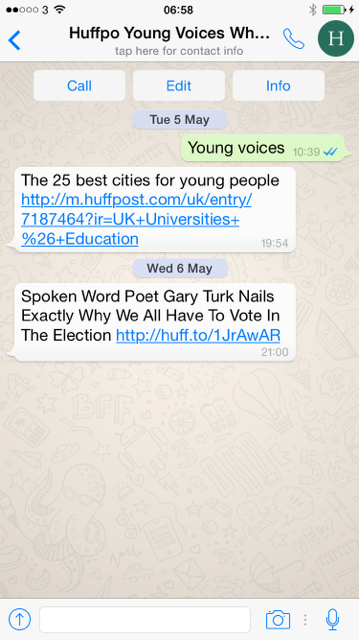 Have you operated a WhatsApp account for news or magazines? 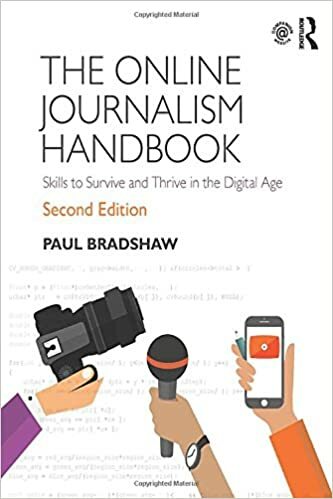 Please share your tips in the comments or @paulbradshaw on Twitter. Thanks for the tips, I’m a worker of a political party here in India and I think every party worker should read these tips. Educational consultants like Hotcourses send a daily WhatsApp broadcast to their students about universities and intakes. Just save ’95 6622 9835′ on your mobile phone, give us a missed call via WhatsApp and start receiving news on international education, universities, courses, scholarships, test preps, students visa and much more.